Founded in 2000 in China, LONGI Solar has become one of the largest manufacturers of solar PV panels worldwide. They also produce wafers for many well-known brands and invest heavily in product development. 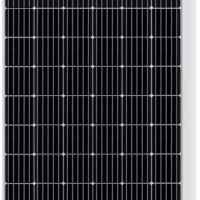 Efficient, reliable panels at a good price. Minimum quantity order is 6. Ask us for large quantity discounts.